They were shrewd and uncompromising, the Watsons, and all the arrogance and acumen with which old Tom Watson had built up the family's banking business was there in his children and grandchildren. Their methods were as aggressive as their lifestyle was opulent, and they could stab each other in the back or drive a competitor to ruin as calmly as a bank clerk counting out change. In time, their empire was to encompass the great financial capitals of the world. As it grew, so too did their power and influence. 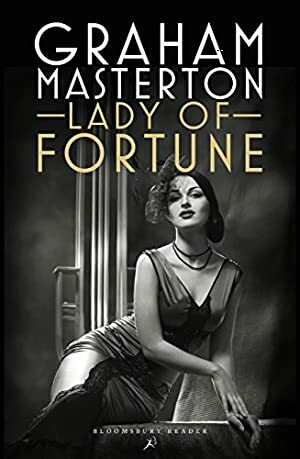 First published in 1984, Lady of Fortune is the story of the Watson family, and of the remarkable woman at its head. Graham Masterton has created a pulsating saga of seven decades of ambition and ruthlessness, of public feuding and private passions, of a will to succeed so powerful that not even the ties of kinship could hope to contain it. Track It. This book has been £4.68 within the past year. This book was £0.99 when we started tracking it. The price of this book has changed 15 times in the past 2,190 days. The current price of this book is £4.74 last checked 3 hours ago. This lowest price this book has been offered at in the past year is £4.68. The lowest price to date was £0.99 last reached on April 19, 2013. The highest price to date was £17.09 last reached on January 13, 2019. This book has been £17.09 2 times since we started tracking it. We last verified the price of this book about 3 hours ago. At that time, the price was £4.74. This price is subject to change. The price displayed on the Amazon.co.uk website at the time of purchase is the price you will pay for this book. Please confirm the price before making any purchases.